In the winter ski season in Farellones and the other places to ski, the experience in mountain transportation is mostly appreciated. At Posada de Farellones Hotel, we offer in winter season daily shuttle from hotel to Ski Resorts like La Parva and Colorado Ski resort, free of charge, unless you would need a special service out of schedule to feel the amazing skiing in Chile. The price per an extra ride in the Van is around US$ 10 per person. 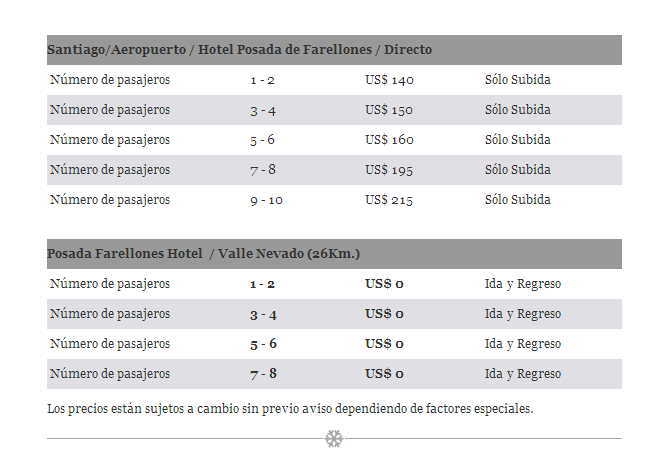 You may ski down from Colorado ski resort to Farellones, even to our Hotel. It is about 3 miles of Skiing. The hardest side winter season in the skiing mountain in chile is for advanced and experts skiers because most of this area is not groomed. The exact schedule shall always depend upon road conditions and guests arriving at the meeting point on time. 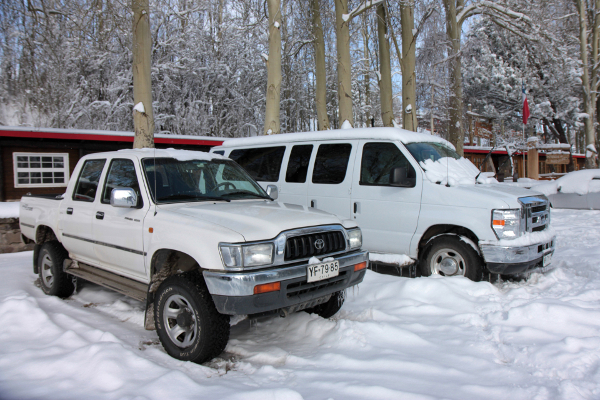 For land private transfer that goes to the places to ski, such us Farellones and La Parva, we use cars, vans and Mercedes Benz senior class buses, which take up to 20 people. In the winter ski season all guides and drivers use their experience in driving on mountain roads, and in tough conditions.